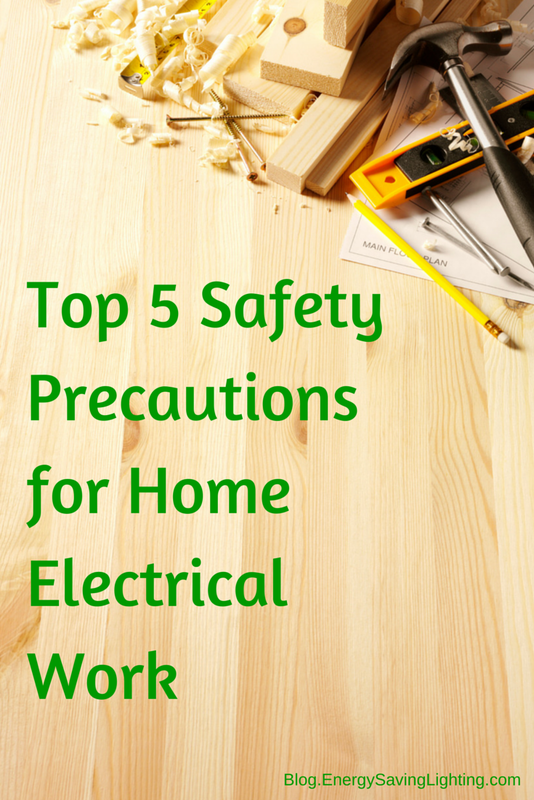 When working with things like electrical wiring, safety precautions should never be overlooked because they could mean the difference between completing a project successfully and causing injury or harm to yourself, another person or to the property. With how unpredictable wiring can be, you should never take risks when performing electrical work, even if you’ve completed hundreds of fixes yourself. You should always be confident that you are well equipped and prepared to handle the task at hand, and by following the following safety precautions, you can decrease the likelihood of potential hazards. Power off – Before proceeding with any electrical work, make sure that power is completely turned off at the breaker. Ideally, you should turn off the breaker and then verify that all power has been cut off in that given area – old wiring can sometimes get mixed up in the jumble of repairs and breakers won’t correspond correctly to whatever is labeled. With dangerous work such as this, it is in your best interest to double and triple check for adequate conditions. Inform family members and neighbors that you are performing electrical work on your home to avoid any unforeseen injuries. Leave a note on the breaker box that states you’re doing work on the wiring and either tape off the breaker or use a breaker lock to prevent tampering. Even once the connection is shut off, continue to work as carefully as possible as though the power is still on. Plan ahead - As mentioned before, confidence is key, and if you aren’t confident in your course of action, chances are you won’t be able to complete work effectively or efficiently. Knowing where all of the outlets, switches, fixtures and other electrical components are located will make all the difference and will help guide you through the process more effortlessly. Planning ahead will also allow you to account for the proper tools and to consider the conditions in which you will be working. Dress properly and prepare – Electricity can strike at any time, and proper attire can help better protect you in the event that something goes wrong with the circuitry. Never do electrical work in socks, slippers or barefoot – you are much better off wearing thick insulated rubber-soled shoes. However, any surface can be conductive in the right conditions, even when wearing rubber boots, so take care in taking preventative measures. It is best to perform work on dry wooden floors or on a rubber mat, because even concrete surfaces become conductive when damp. Use the right tools – Quality tools that are suited for the job will not only affect craftsmanship, but will also help boost your confidence in knowing the tools you are using will perform how you intend for them to work. Investing in a sufficient tool kit will give you more peace of mind and ensure that you can complete projects as you intended them. Look for tools with insulated handles that won’t carry the electrical current. Pocket it – As a general rule of thumb, try to keep your opposite non-working hand away from touching other things, especially the ground, as you work with the other. Keep your hand in your pocket or behind your back to make it less tempting to have both hands out at once. In the event that you are shocked, the electrical current will have less to travel through if you're only using one hand, lessening the severity of the shock. 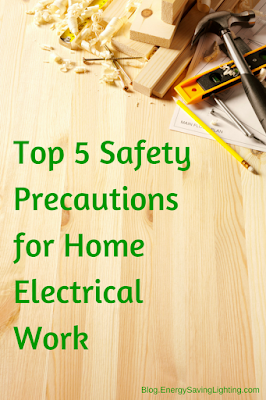 Now that you’re fully equipped with the basic safety precautions of home electrical work, take extra care in preparing for any electrical DIY projects that you may want to take on. Take care to avoid risk and injury, but if you ever feel under-qualified to perform a task, it’s best to just call in the professionals! What are some challenges you’ve faced when trying to tackle electrical wiring on your own? Let us know in the comments below!